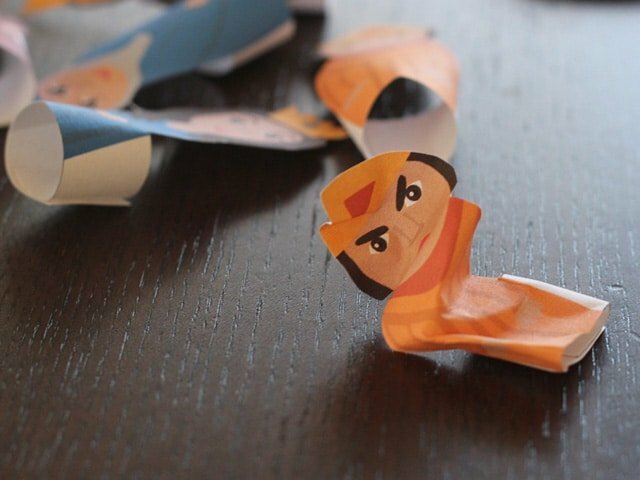 Here’s an easy and educational Purim craft that won’t make a mess or tie your hands in knots. No glitter, no hot glue gun, no paste… just a simple printable that you can cut out, tape together, and play with! Simple as that. 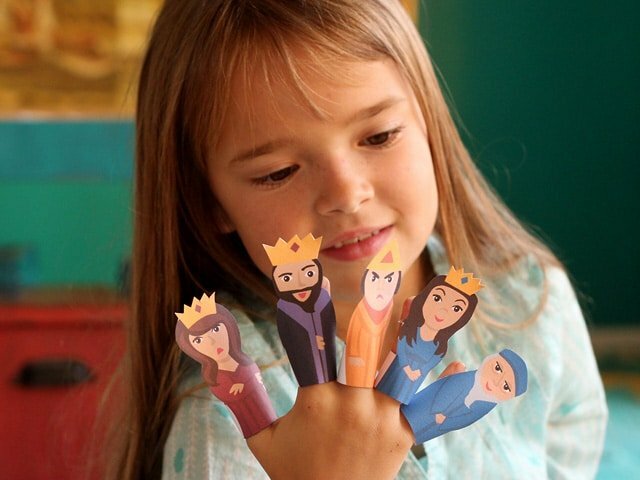 These Purim Finger Puppets will help your child learn the story of Purim in a fun and engaging way. There are two printables for this craft. One is full color, so all you need to do is cut the puppets out and assemble them. The other is a coloring sheet, so kids can get more involved by coloring the puppets themselves before assembling. Both options are fun. The coloring version will get kids more involved in the craft. Click the links below and print out the sheet you like best, then you can get started! 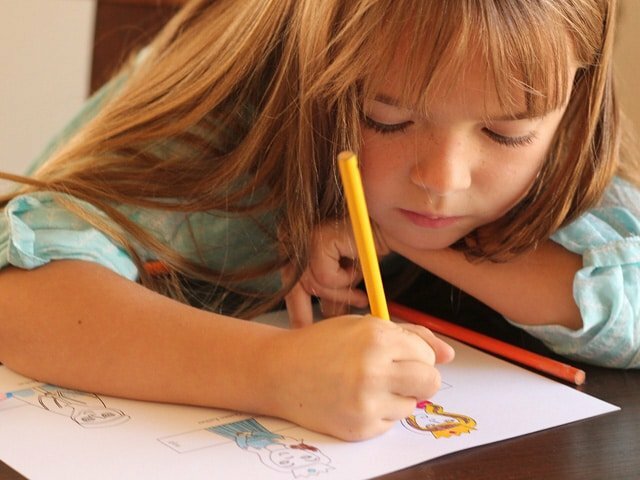 Have your kids color in the characters if you’re using the Coloring Sheet Printable. Cut the puppets out and tape them using the double-stick tape so that they’ll fit snugly on the fingers. You can also stand them up on a tabletop. Share the story of Purim with your children. 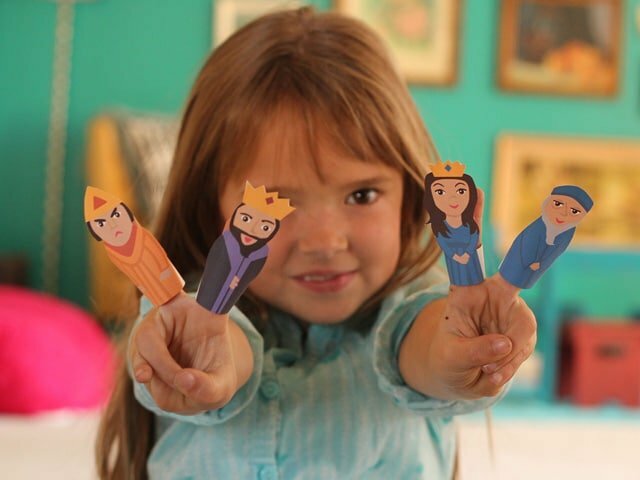 Have them use the finger puppets to act out each scene of the story. Let the puppet show begin! Make sure you have your noisemakers ready when the villainous Haman comes onstage. Sorry, Haman. Sometimes the bad guys get crinkled up. It happens. What a fun way to celebrate Purim! You can add these printables to a Purim Mishloach Manot basket, share them with your Hebrew school, or just set them aside for a rainy day activity. It’s a simple and colorful way to help kids understand the meaning behind the holiday. Excellent !!! Thanks from Paris ! Thank you! Our family is Christian and we are learning about Jewish holidays. 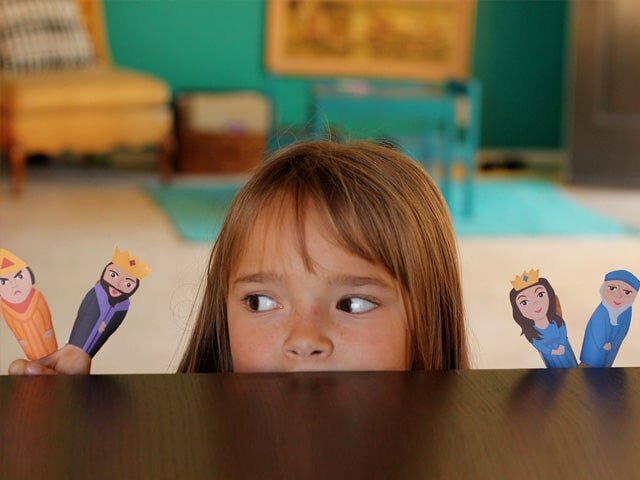 Your blog post with the puppet patterns and story was perfect for 9 and 7 year old grand-daughters. We did the “color your own” version and our kids loved them! By any chance do you have Passover finger puppets planned? I’ve been searching for Passover activities & crafts, and in particular finger puppets our kids can make. I was just thinking about what kind of Passover crafts we can feature this year. I’ll ask Brenda about the finger puppets, great idea! I knew the story of Queen Esther, but did not know of Purim. I love that the Purim holiday reminds of her patience and her bravery! 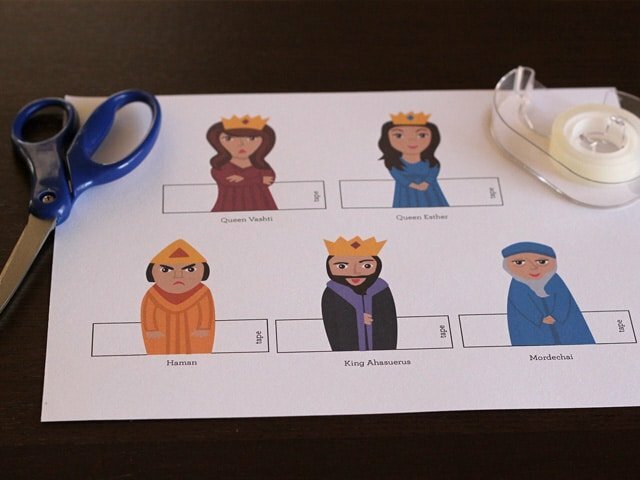 This is a wonderful idea to teach kids about Purim! Just posted on Craft Gossip! Wow! Thank you so much for this! I’ll be teaching Ester in Sunday school next week…how perfect! 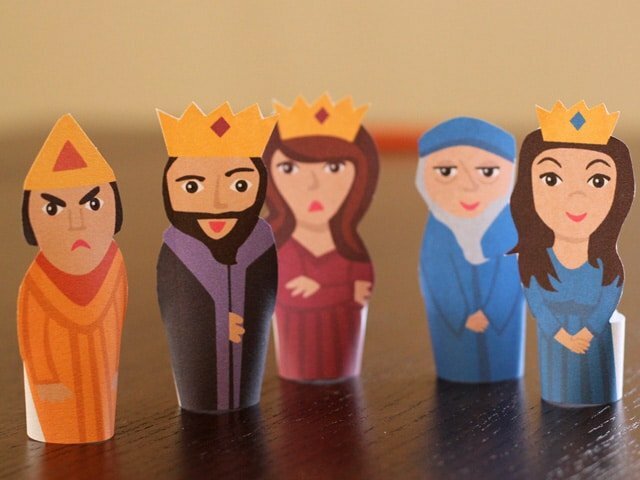 Hmmm, I found the Story of Purim, but not the link for the puppets. Help? Thanks. Hi Julianne, the links are in red, just above the picture of the little girl (Brenda’s daughter “Bug”) coloring. Click on the link and a PDF will load. It may take a little time to load, give it a few seconds. If you still have problems please let me know!